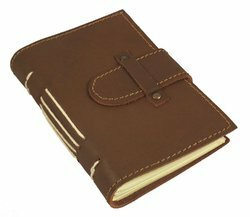 Business-gift.in one of the leading manufacture of best quality leather diary in Delhi. You can customized these promotional diaries with your company logo or name. These beautiful designer leather diary is available for sale at best price. We have latest options for special PU leather diaries with magnetic locking, Diary with Pen, Leather Diary with Planner, Leather Diary with Lock and suitable for any calendar year and is beautifully illustrated. The leather cover diary can be used as a diary or kept over a period of many years. Its durable and long lasting binding is make this diary extra special. Its a perfect gift for someone.